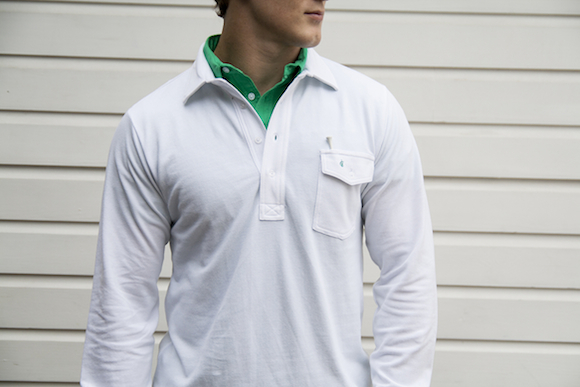 Over the last several months, Criquet Players Shirts have become something of a weekend staple for us. They look great, they feel great, and they are well suited for just about everything we find ourselves getting into. With temperatures dropping, our short sleeve Players Shirts will soon be replaced with their long sleeve counterparts. Luckily for us, two new colors have recently been added to the lineup. We’ve never been too high on scrambling out of the house at an ungodly hour to score a deal or two on Black Friday. Instead, we tend to spend the day catching up with family and friends and gearing up for the rest of the holiday season. 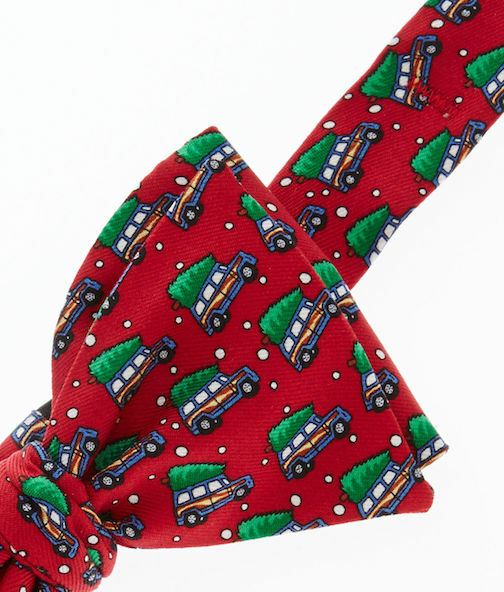 For Bowtie Friday this week, we’re revisiting one of our favorite holiday bows, the Woody & Tree Bowtie by Vineyard Vines. The feature below originally ran on November 25, 2011. High on our list of things to be thankful for this year are the loyal readers who keep this site going. 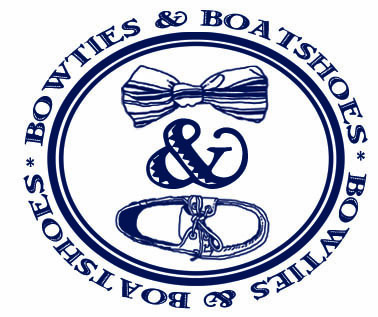 We truly appreciate each and every one of you, and Bowties & Boatshoes wouldn’t be what it is today without your support. We’ve dabbled a bit in the world of custom suits and shirts here at Bowties & Boatshoes, but we never really gave much thought into customizing outerwear. That all changed with a recent visit to Indochino.com. 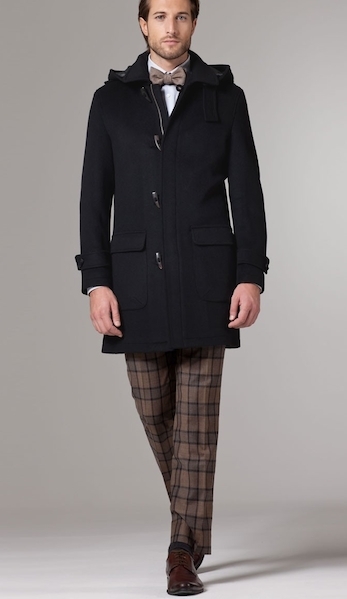 Now, there is a high probability that the next addition to our cold weather collection will be their Black Duffle Coat. Today we’re happy to announce that we’ve teamed up with our friends at Smathers & Branson to start spreading some holiday cheer. 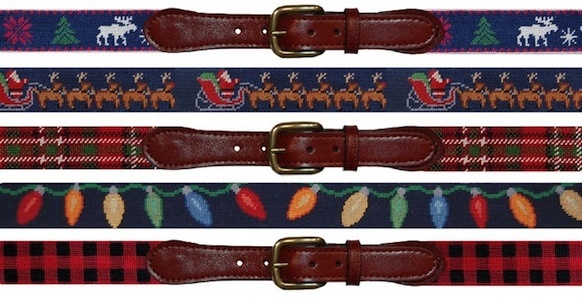 For the next five days, we’ll be taking entries for a chance to win one of the fantastic holiday themed belts from their expanding collection. With Thanksgiving only a few days away, we think it’s safe to say that holiday travel season is officially in full swing. 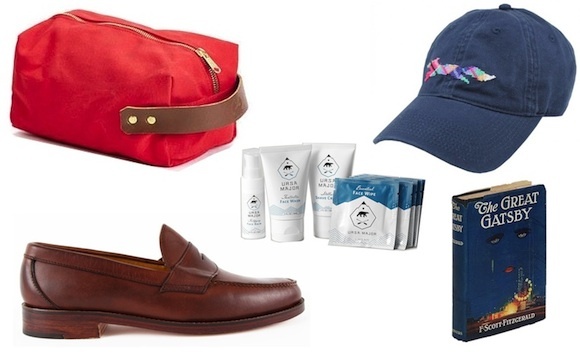 Today we’re featuring a few items that will absolutely make the journey with us as we head South for Turkey Day. For some reason, it seems that the denim and sport coat debate is still going strong. Of course, the ammo for just about everyone against the combination is a picture of someone in an ill fitting jacket and jeans that are at least two sizes too big or two inches too long. Of course it isn’t a good look if nothing fits! We’ve already covered a jacket we like for this combo, and this weekend it’s time for the jeans. 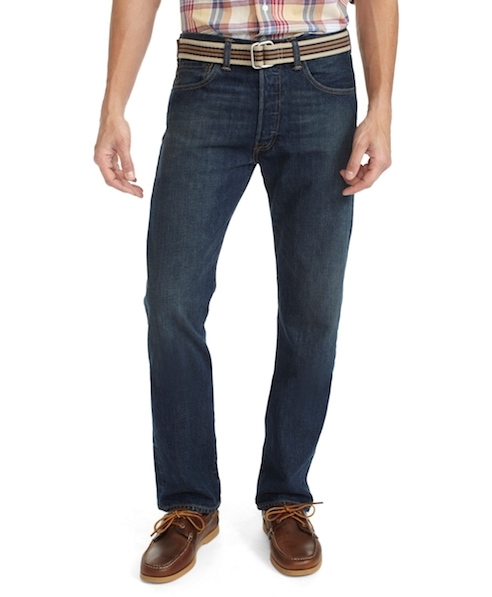 Our pick is a pair of Made in the USA Levi’s 501s from Brooks Brothers. Earlier this week the wraps were taken off of a brand new collection from High Cotton. Dubbed Collection Reserve, this is the first group of luxe ties released from the gang down in Carolina, and we’re liking what we see. There are some fantastic ties in the group, but our favorite of the bunch is the Green Velvet Diamond Point. Yesterday there was quite the firestorm online in regards to the appropriateness of sport coats with jeans. In our opinion, it’s a great look as long as you do it correctly. First, you’ll need denim that actually fits (hopefully you have that covered). Second, you’ll need a jacket that isn’t too dressy. If you have both, you’ll be good to go. 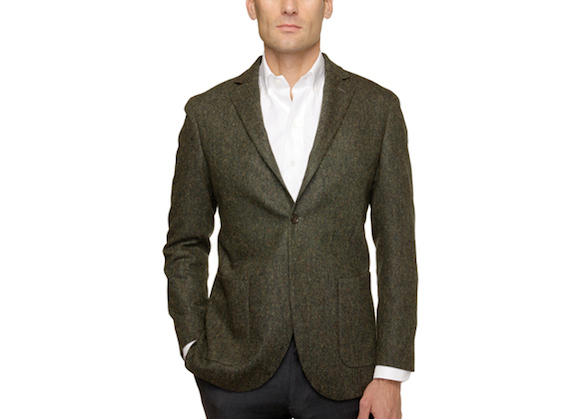 For example, the Green Huxley Sport Coat from Ledbury* is a fantastic option to pair with your favorite dark jeans. When it comes to Rugby Shirts, we’re fans. For the most part, we prefer them to be simple, timeless, and virtually unadorned. 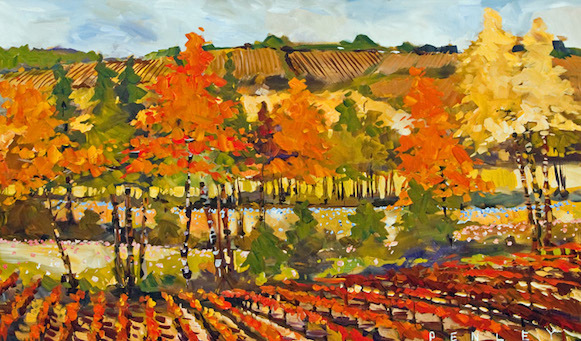 Sure, from time to time we break out some color, but it’s the more basic options that we find ourselves coming back to time and time again. 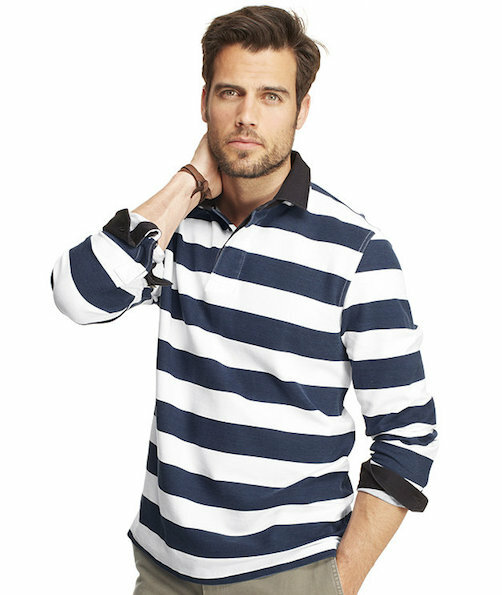 This year, another low key rugby shirt will be added to our collection, it’s the Midcoast from L.L. Bean Signature.